The reptile went under CT scan due to several injuries. An initial X-ray did not reveal much about the nature of injuries sustained. 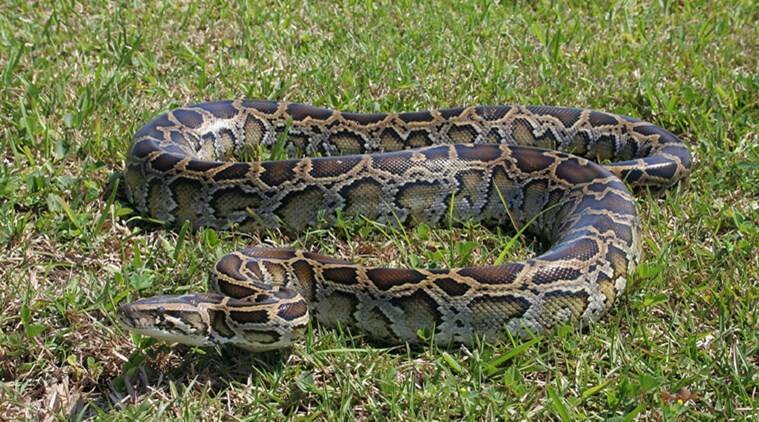 Subsequently, the python was kept under the supervision of Snake Helpline. An 8-ft long critically injured python underwent CT scan during treatment here today, in a rare exercise to ascertain the nature of injury in its head. The CT Scan, performed in a private clinic here, was perhaps the first of its kind conducted on a snake in India, said Subhendu Mallick of Snake Helpline. The reptile was brought to the College of Veterinary Science of Odisha University of Agriculture & Technology (OUAT) in a critical condition after being rescued from Ananadpur in Keonjhar district, he said. The python was found in a critical condition. Forest Range Officer of Anandpur, Mihir Patnaik got the injured snake rescued and brought it to the OUAT for treatment on Friday, said Mallick. The reptile was examined at OUAT and given treatment. Initially, X-Ray was carried out but the nature of injury could not be detected, doctors said. Subsequently, the python was kept under the supervision of Snake Helpline, he said adding it will undergo further treatment after the CT scan.